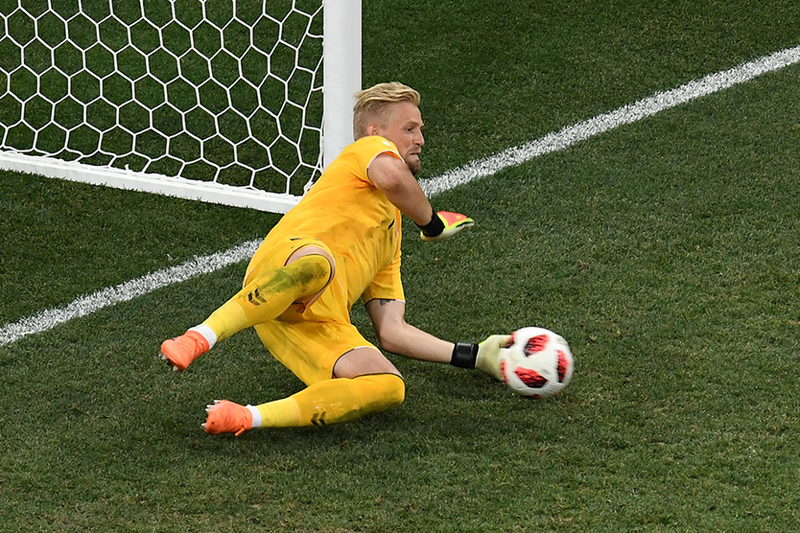 Kasper Schmeichel saved three penalties but they were not enough for his Denmark side to claim victory over Croatia in the last 16 of the 2018 FIFA World Cup. The Leicester City goalkeeper kept Denmark in the tie when he stopped Luka Modric's penalty with only four minutes left in the second period of extra-time. Schmeichel then saved from Milan Badelj and Josip Pivaric in a tense penalty shootout but it was Croatia, featuring Liverpool defender Dejan Lovren who went through to the quarter-finals. Denmark opened the scoring thanks to a goal from Huddersfield Town's Zanka, the club's first in a World Cup finals. Earlier, a Spain side featuring Manchester United goalkeeper David De Gea and Manchester City playmaker David Silva were knocked out on penalties by hosts Russia in Moscow.